In the face of the SEC’s aggressive stance on bribery and corruption of foreign officials, examples like the Wal-Mart de Mexico debacle are less likely to occur. Outright bribes, stacks of cash handed over in brown paper bags, are too easy to identify, as was the case when that investigation’s spotlight turned to the town’s mayor. Instead, international companies will simply find more creative ways to funnel money to foreign officials, either laundering it first through a series of shell corporations or disguising it as legitimate business expenses. The practice has been going on for decades, and while the SEC’s efforts to stop it may increase, the reality is that the only change will be better methods of concealing payoffs. The creation of internal corporate compliance departments within companies with business activities and interests overseas is an initiative the SEC outlines in the Resource Guide and hopes will reduce FCPA violations. Compliance departments will be responsible for educating employees about proper dealings with foreign bureaucrats, providing guidance related to activities that potentially violate the FCPA and conducting in-house investigations to monitor interactions with foreign officials. In theory, corruption of overseas decision-makers should be minimized with the presence of corporate compliance departments. Unfortunately, even companies who already engage in FCPA compliance procedures have been caught breaking the very laws with which they're purporting to comply. In some cases, it's apparently been a matter of rogue employees acting without the company's knowledge or consent. For example, last February the SEC charged three executives of Noble Corporation (NE), an offshore drilling contractor, with bribing Nigerian customs officials to process fake documents showing that the company's rigs were moved in adherence with local laws, when in fact the rigs remained in place. Two of the executives, James Ruehlen and Mark Jackson, CEO, were charged with authorizing bribes and facilitating payments to Nigerian customs agents. The third executive, Thomas O'Rourke, head of Noble's internal audit division, was charged with assisting in the cover up by describing the bribery payoffs as legitimate business expenses. Another example of company execs blatantly violating the FCPA and eluding internal compliance checks was revealed last April when the SEC charged Garth Peterson, a former Morgan Stanley (MS) executive, with bribing a Chinese official and misappropriating funds for personal gain. Peterson settled with the SEC for $250,000, permanent revocation of his securities licenses and forfeiture of $3 million worth of real estate he acquired in Shanghai. 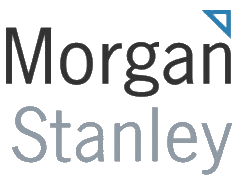 Morgan Stanley was not charged in the case, as the SEC was satisfied with the company's internal compliance efforts and claims that they were also a victim of Peterson's misconduct. When corruption and bribery stems from executives acting independently and without authorization from the company, even the most comprehensive compliance audits may never discover secret deals and agreements like the ones made by employees at Noble Corporation and Morgan Stanley. However, a greater threat exists when FCPA violations are part of a conspiracy, and evidence is either covered up or disregarded entirely by the company, as was the case with Wal-Mart de Mexico's construction efforts in Teotihuacán. Despite clear evidence of more than $24 million in bribes uncovered by Wal-Mart's internal investigation, the company shut down the investigation and failed to notify the proper authorities. The point here is that, although international companies can create compliance departments and take steps to educate employees about adherence to FCPA regulations, the practice of greasing the wheels in other countries by lining the pockets of foreign officials will still continue, whether by rogue agents acting out of greed and desire for personal gain or by the companies as a whole. Conspiracy theorists can have a field day here, imagining a group of faceless men in black suits sitting around a conference table in a dark, smoky room.